London's distinctive green cabmen's shelters – no bigger than horse-drawn carriages – are kind of like America's version of a Route 6 diner. Tired travelers line up at the door, but only those with "the knowledge" can gain access inside. The shelters only allow licensed taxi drivers to sit inside, making people like Kate Symonds the unlikely bouncer of her shelter on Russell Square. "We've got handsome Pete, we've got smelly Pete – not smelly 'cause he smells but 'cause he's always got aftershave on," Symonds said. Drivers' nicknames are as established as the history of these huts, first built in the 1870s for London's black cab drivers, the men and women who have memorized every single crooked road in the city. They were established in the days of horse and carriage as a way to keep drivers out of pubs and on the roads. Today they also help keep them sane, explains cabbie Mick Brown. "They are a shelter and not just from the weather the elements, but from the madding crowds outside," Brown said. The shelters have become so well-known for their cheap eats they now serve the public through the window. 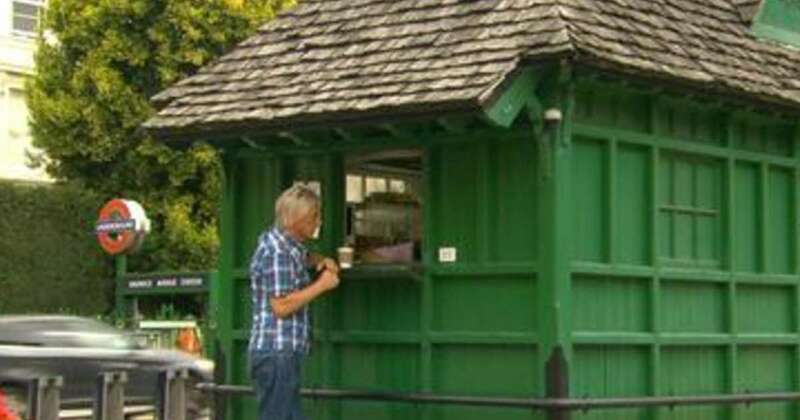 Tracy Edwards' hut on Warwick Avenue is a regular haunt for some local famous faces like musician Paul Weller and some visitors from out of town. "I met Daniel Craig, James Bond," Tracy said. "He just wanted to be nosy about the building." The current U.S. Ambassador Woody Johnson has also been inside. Tracy's little building is renowned for the quality of her breakfast staple, the bacon sandwich. It's simply butter and bacon. There used to be 61 shelters in the city but now only 12 are in business as the city's black cabs compete with Uber and other car services for space on the road. Cab drivers and their tiny green shelters are kind of like the salt and pepper of London life, full of enough wit to season any conversation and always around – at least for now.